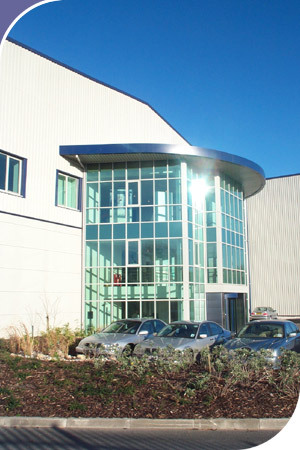 Hulme Upright has considerable experience and design expertise in the industrial sector, in particular the design of warehouses, distribution centres, manufacturing and production facilities. Many well-known national industrial companies, such as Josiah Wedgwood plc, The Dudson Group, TRW Lucas plc, H & R Johnson Tiles and United Norwest Co-operative Ltd have appointed the practice. © 2019 Hulme Upright Architects.